Puppies and dogs are fun and can make a wonderful addition to the family, but are you really ready? Do you just want something to cuddle at night or are you ready to commit for the long haul? Pets are a lifelong commitment. There are times when it is necessary to find a new home for your dog for one reason or another, but a lot of heartache can be saved by considering some important questions before you run to the nearest shelter with a wad of cash and pen in hand. “I want to walk more and I feel that a dog would help me to remain motivated”, etc. If you just want something that will make a noise if there are unwanted visitors, there are many suitable brands of yard alarm available at a reasonable price. Even if you’ve had dogs before, it is wise to take some time to do an honest assessment of your current lifestyle and ensure that you have enough time to dedicate to a dog. Some breed research can help with this, and there are free online sites that will help you work out which breed or category of dog is best suited to your lifestyle. No matter which breed you choose, there will be a time commitment. Look at factors such as exercise, grooming, socialisation and training… even the most laid-back and low-maintenance dog will require a daily allotment of time in order to meet his needs. If you like the idea of walking a dog but an honest assessment of your lifestyle reveals that you are often away from home or would only have a few hours per week to spend with your dog, you may want to consider offering some time each week at a local shelter. There are always dogs in need of a walk there. If you find you can commit very little time but just like the idea of having a dog to pat, you may want to consider Go-Go My Walking Pup. Where will my dog sleep? Where will my dog spend most of his day? This is a very subjective answer, as it is equally okay to have an inside or an outside dog, but the answer should involve shelter and shade and warm bedding if possible, plus plenty of room for the breed and plenty of mental stimulation. Not everyone can take their dog to work or stay home with them all day, but there should be adequate facilities for the dog to take a nap or amuse himself to avoid him becoming a nuisance. I would recommend that you don’t even begin to think about getting a dog until you have addressed this question. 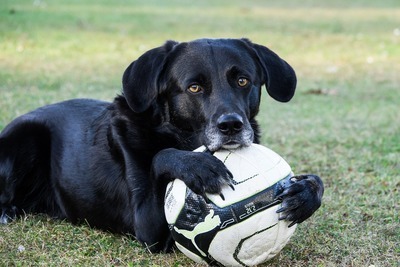 If you find that your dog will be left alone for a significant portion of each day without adequate shade and stimulation, volunteering at a shelter in your spare time may be the right option for you. Do you have stable accommodation? Many rehousings occur because the owners move and cannot take their dog with them. If you are moving regularly, particularly in rentals, it is a good idea to hold off from adopting until you have something more stable. It will save a lot of heartache for you and the dog in the long run. That said, people on the move who have some kind of mobile accommodation can generally house a dog quite well. It takes a little research to find pet-friendly caravan parks, but this is certainly an option if you also have time to exercise your dog adequately. If this applies to you, take care to identify a specific dog who would be happy with this lifestyle. Feeding a dog is relatively cheap these days, but there are many other considerations besides food. Can you afford a vet if your dog becomes unwell or is injured? Can you afford routine care such as vaccinations? Can you afford to desex and microchip your pet? Can you afford council registrations each year? Careful budgeting and good money management mean that you can save for routine expenses, but be aware that there may be surprises at any time. You will also find that the dog costs more as it gets older, due to age-related health issues. 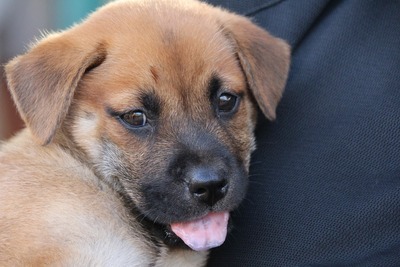 New dogs, whether they are puppies or dogs adopted as adults, often have an initial difficult stage. Problems can usually be overcome with patience and training, but do you have the time and the patience to cope when you find that you are amongst the majority who did not get a magically well-behaved dog? If you feel that you cannot cope with behavioural issues or accidents in the house, etc, think long and hard about how much you want a dog. You may find that walking the neighbour’s dog while they’re at work (with their permission of course!) is more your style. Can you make a lifelong commitment? This is the most important consideration. Sometimes things change and we can’t honour the commitment we made, but we should be aiming to care for the dog for life. If you can’t commit, or you’re not sure, but you are sure that your life needs a dog in it… maybe consider fostering for one of the many animal welfare organisations or donating your time as a puppy-walker for the Guide Dog association. These are time-limited commitments and you will have the satisfaction of knowing that you are saving lives or making them better.